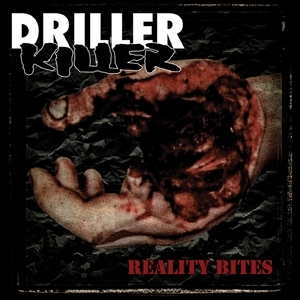 Airing their anger and fury since 1993, Reality Bites is DRILLER KILLERS fourth opus from 1997. First time on vinyl, RB serves up a dozen bulldozing blasts of pounding metal-edged Swedish HC punk in the spirit of life, death and misery!! Ultra fast galloping drum beats effortlessly executed behind a wall of shredding guitars, chainsaw bass lines and devastating vocals by frontman Cliff Lundberg. This is the fourth LP in a series of eight officially licensed and long overdue Driller Killer albums to be unleashed on vinyl!! Limited to 600 copies on black vinyl.